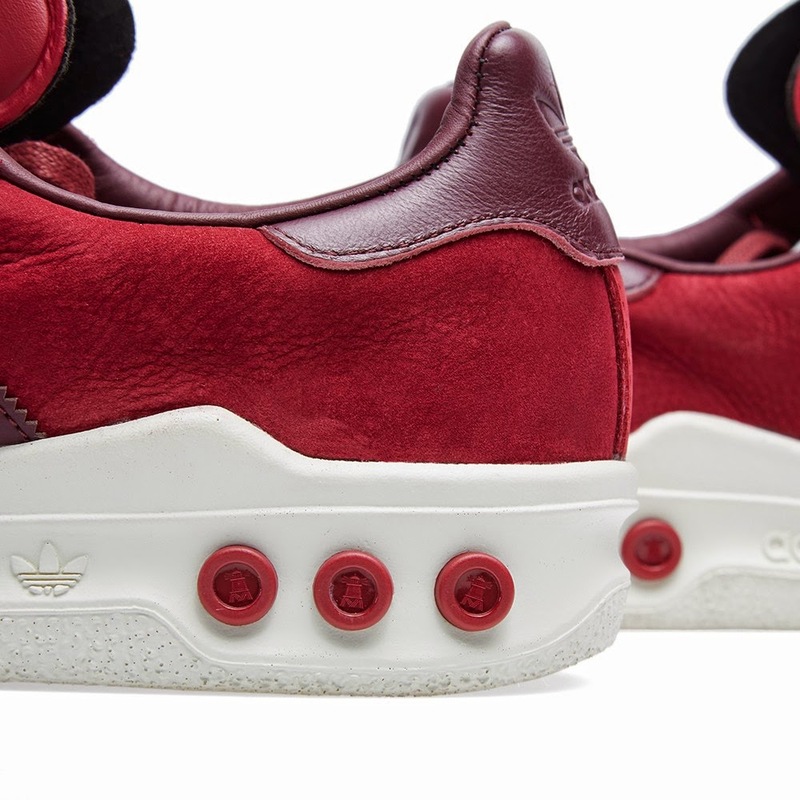 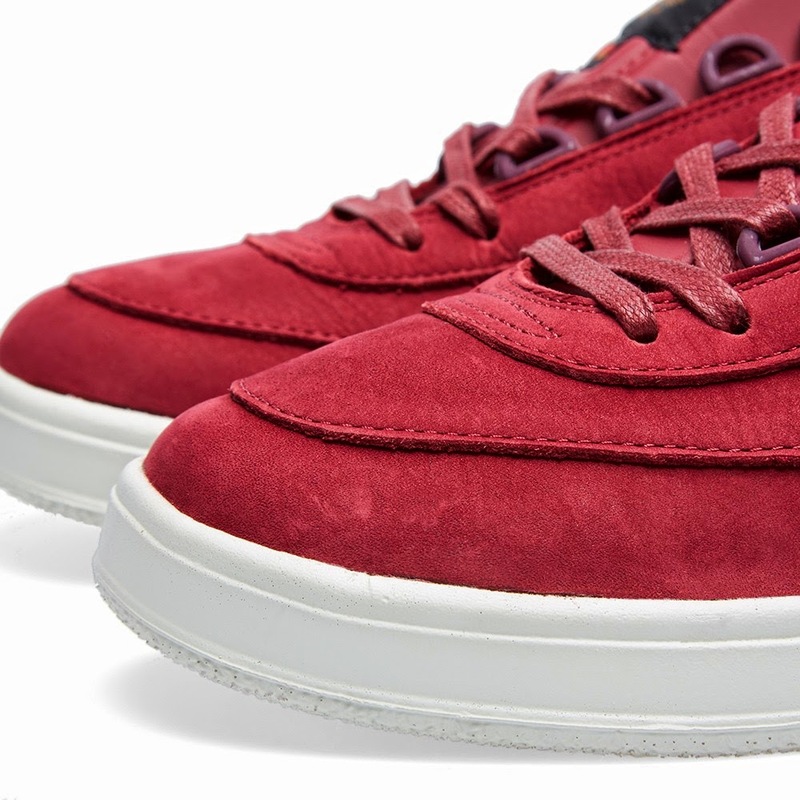 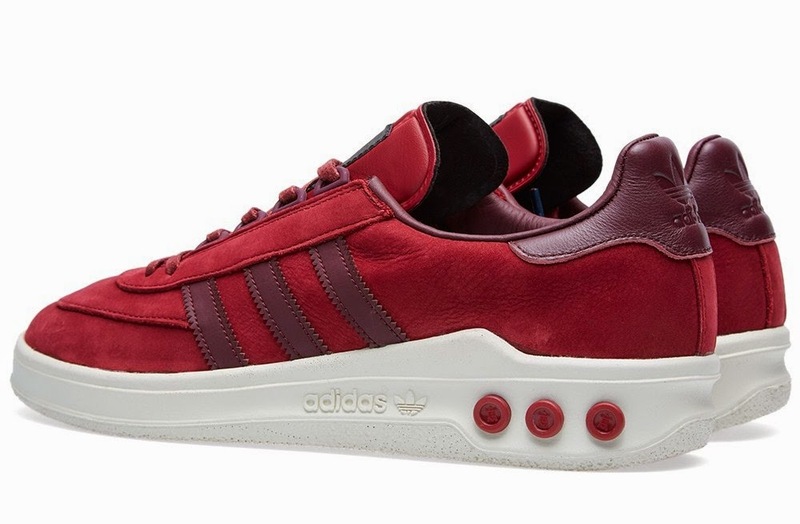 As a 1:1 recreation the Columbia perfectly reflects adidas’s place in British terrace culture. 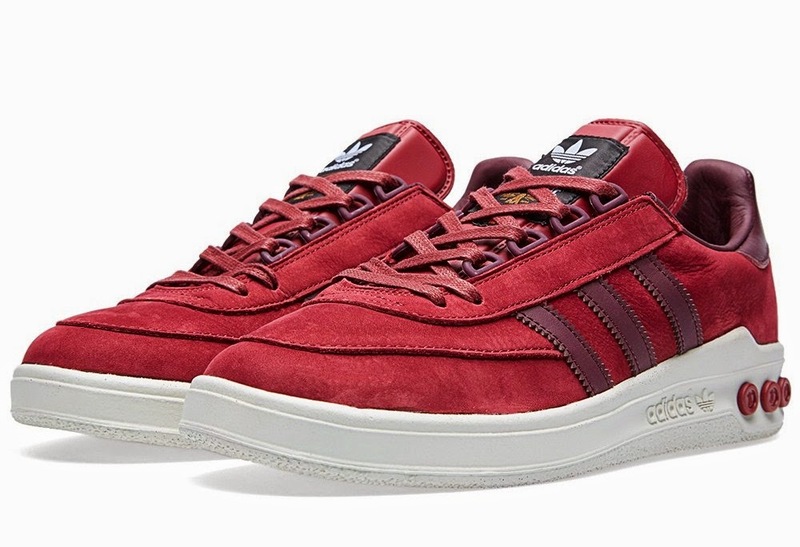 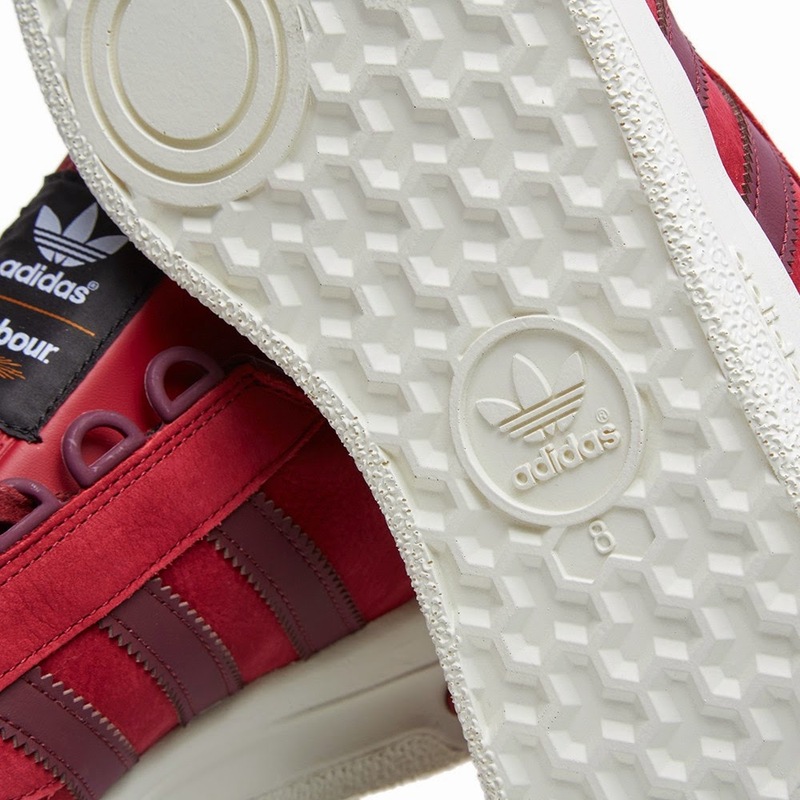 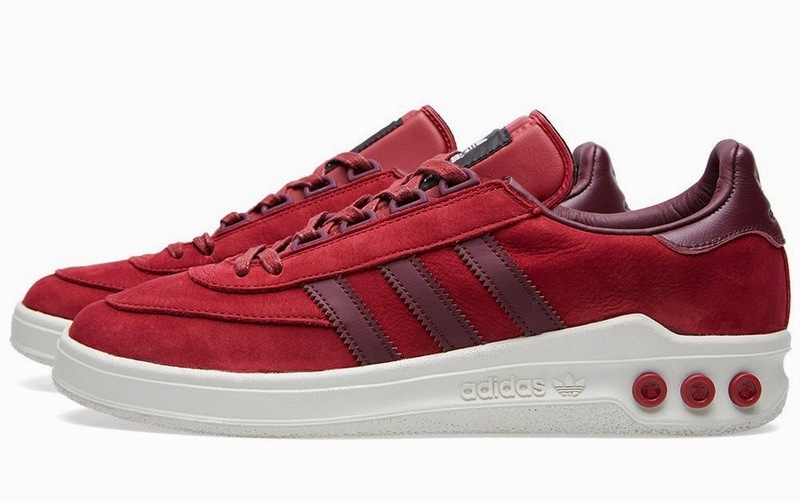 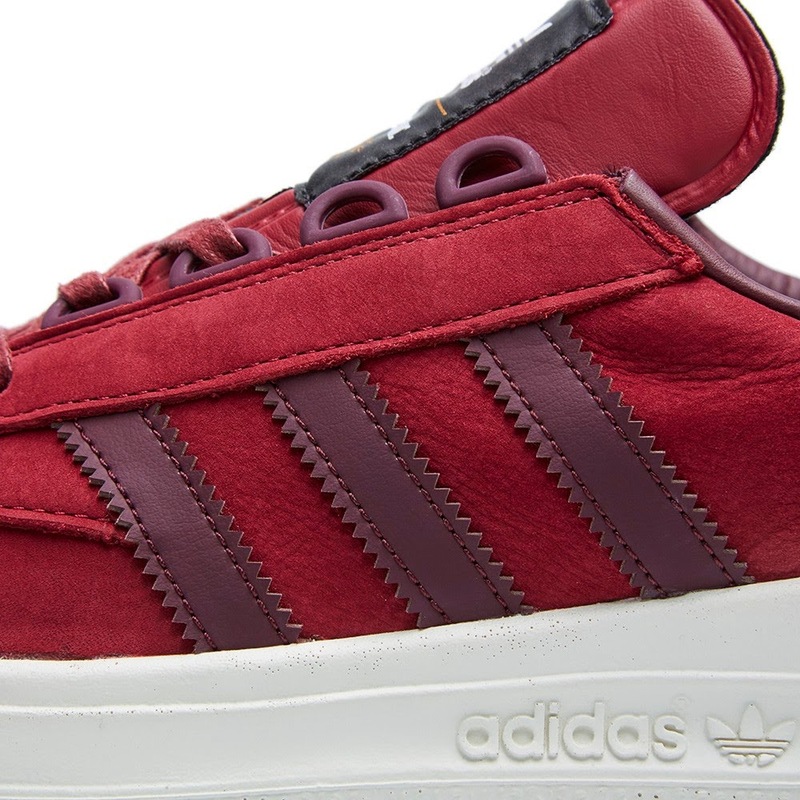 With its iconic pegs through the sole to its Trim Trab aping plastic lacing loops, this is another adidas classic. 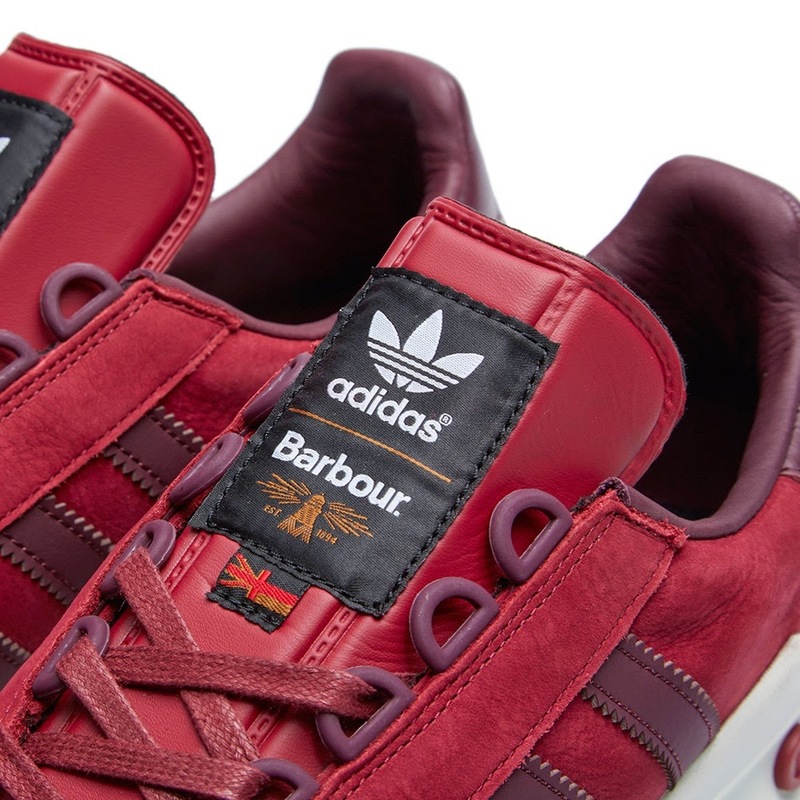 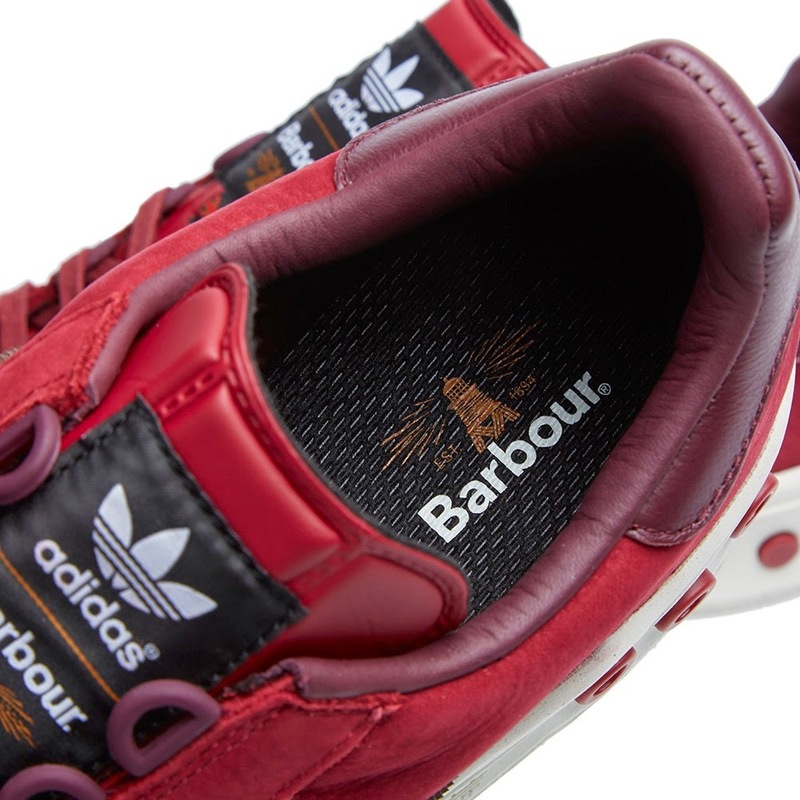 Subtle updates include the Barbour Beacon logo on the peg ends and the use of the Ecotex tongue material while the colourway compliments the red nylon of the ‘Beckenbauer’ track top inspired Roubarb jacket.